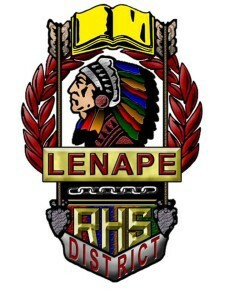 The Lenape Regional High School District has built a dynasty when it comes to teaching the community about safe driving. For the third consecutive year and the fourth time in five years, the school district was one of three grand prize winners in the U Got Brains Champion Schools Competition. In the competition, schools from across New Jersey create campaigns to promote safe driving. The team was honored for its achievements at last Wednesday’s LRHSD board of education meeting. Lenape District Television students participate in the contest annually. Every year, the team is challenged to create a video of 10 minutes or less showing how it promoted safe driving in their school and local communities. John Donaldson, director of television services for the school district, said the challenging part of winning three years in a row is coming up with new ideas to stay ahead of the competition. There were 59 teams participating in this year’s competition, and Donaldson said other schools emulate or take ideas from what Lenape has done in the past. When it began competing in the competition, LDTV created the “Heads Up, Eyes Forward” campaign. The campaign warns motorists against the various dangers of distracted driving. Last school year, the team created t-shirts to distribute to students and staff. The front of the t-shirts included the Heads Up, Eyes Forward logo on the front and a few examples of distracted driving on the back. For winning the competition, the school district receives a driving simulator, a computer program complete with a seat, steering wheel and pedals that are used in driver’s education classes. With the Lenape district winning for a fourth time, all four high schools now have one driving simulator. “We’ll donate this one to Seneca, so now we’ll have one at each of the four schools,” Donaldson said. The Lenape district does not plan to see its streak of wins at U Got Brains end at three. Donaldson said the LDTV students are already brainstorming new ideas to promote its “Heads Up, Eyes Forward” campaign in new ways again next year. Last year, the school district debuted a Prepared to Succeed video, where graduates from the four high schools talked about how the Lenape Regional high schools best prepared them for college. The school district released its second Prepared to Succeed video earlier this month. Superintendent Carol Birnbohm said the video allows the community to hear about the positive aspects of the school district directly from the students. “They really talk about the success and excitement they experienced at our schools,” she said.